Last week, The Texas Tribune offered a harsh appraisal of Battleground Texas that relied on select criticisms of our organization. While some growing pains are to be expected with any young organization — and we recognize that Battleground Texas is an easy straw man for players on both the left and right — we think it's critical that readers hear the other side of the story. That's the story of the tens of thousands of volunteers and activists who are working to build a brighter future for Texas. Hablemos claro — let's speak clearly. As the political director at Battleground Texas, it's my job to coordinate with Democrats and other progressives across our state. And the conversations I'm having every day — with local party chairs and labor leaders, with longtime activists and new volunteers, with elected officials and seasoned campaigners — make me more optimistic than ever about the potential for change in Texas. 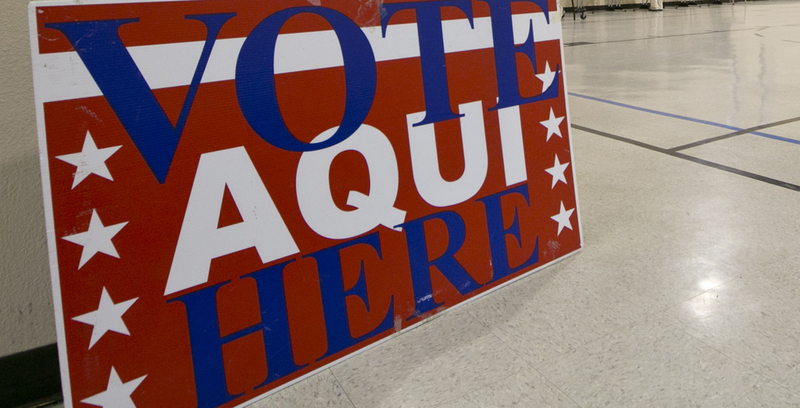 Growing up in El Paso, there weren't many people talking about voting in my community. Although I tip my hat to the handful of organizers who worked hard to promote civic engagement in our neighborhoods, what boots on the ground there were had few resources and little ability to motivate a traditionally less-involved Latino family like mine. Even during presidential elections, there were no volunteers knocking on our doors to ask if we were registered or if we knew where our local polling station was. 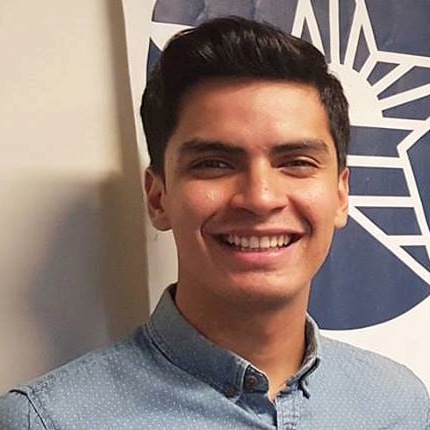 It wasn't until I returned to El Paso after college, determined to pay forward the opportunity I was given, that I truly understood the challenges in registering and turning our communities out to vote. While I was bound and determined to do the work, engaging Latinos was much harder than I could have imagined — two decades of legislation designed to disenfranchise our community and a failure to invest in Latino outreach had translated to an uneven playing field and severely depressed turnout among Latino voters. Clearly, we needed an organization that had the resources and infrastructure to flip the script on voter registration and engagement for the long term. Over the years since then, I have learned that this problem is not unique to El Paso — or to the Latino community. In fact, year after year, election after election, Texas is at or near the bottom in voter turnout. In 2014, less than 34 percent of all registered voters actually cast a ballot, and Gov. Greg Abbott was elected with the support of just 15 percent of the voting-age population. This is not okay. A state as important and proud as Texas shouldn't settle for dead last in voter participation and for leaders whose views and policies reflect the will of the very few. Despite the many issues facing my family and my community, we were not being engaged in the democratic conversation, and we weren't being heard at the ballot box. That's why I started volunteering with Battleground Texas — because I wanted communities like mine to have the chance to elect leaders in Austin and Washington who actually share their values and ideals. Through our organizing, leadership development and voter protection work, we're helping do just that. Despite a few loud voices to the contrary, we are seeing real results. In 2014, we improved down-ballot Democratic performances over 2010, and the voters we contacted turned out at a higher rate. In fact, five separate analyses of the turnout data showed voters who were contacted by Battleground Texas turned out at 6 percent higher rates than similar people who were not contacted by Battleground Texas. This improvement was even more pronounced in every targeted legislative district in which we worked. It's no wonder a survey of our volunteers post-election found that 92 percent of them said they would continue to volunteer. Since launching in 2013, we've built a grassroots army of more than 35,000 volunteers and helped nearly 12,000 people get deputized to register voters in their counties, trained hundreds of future Democratic activists through our leadership development programs and registered more than 100,000 Texans to vote — many for the first time. Last year, we worked with progressive allies to clinch a crucial win in the Houston mayoral election, pushed the Texas Secretary of State's office to streamline its voter registration process and unveiled a new Advisory Board with some of the most distinguished progressive voices in Texas and nationally. We know we have a lot more work to do — we never said that progress would be quick or easy. But the passion to change Texas is still here. We saw it in Houston last December, and we're seeing it before a historic presidential primary next month. We see it in the 14 regional councils that are completely volunteer-run and organizing Texans all across our state. We see it in the thousands who better understand the challenges and have been re-deputized as voter registrars, and the army of volunteers that is taking the knowledge and experience gained at Battleground Texas and putting it to work on local campaigns, at major democratic organizations and in their own communities. We're fighting to make sure that all Texans are heard with the help of homegrown organizers like Luis Cázares, Bricia García, Summer Lollie and DJ Ybarra. We're fighting to give the next generation of young progressive leaders the tools they need through the Executive Latino Leadership Program; the Texas Future Leadership Program; the South Texas Organizing Academy; the El Paso Precinct Chair Academy; Movimiento Texas; the Student Voter Initiative; and our bilingual Voter Protection Hotline — the first statewide hotline in Texas history. The critics aren't going to stop, but that's okay. While they're busy pointing fingers, we're looking to the future and building a volunteer organization that is engaging Texans all across our state. Because that's what the critics are missing: Battleground Texas has never been about any single staffer or election. Battleground Texas is the incredible volunteers who brave the Texas heat to knock on doors in Nacogdoches, the leaders who make the time in their busy lives to phone bank for a great local candidate they believe in — the many Texans who are changing the politics and the future by talking to their neighbors about the issues that matter most to them. We're not stopping any time soon — not until we make Texas competitive in every election, from the State Capitol to the White House. ¡Pa'lante!